North Korea’s state media has claimed success in its attempt to put a satellite in orbit. The second version of satellite Kwangmyongsong-3 successfully lifted off from the Sohae Space Center in Cholsan County, North Phyongan Province by carrier rocket Unha-3 on Wednesday. The satellite entered its preset orbit. — KCNA, December 12, 2012. 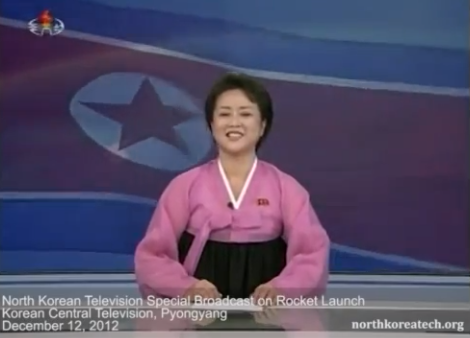 1 Comment on "North Korean media claims launch success"
Has there been any independent confirmation?